CHAPTER IV: WHERE DREAMS DIE ? The Gravestone has locked out all users and jumped to hyperspace under its own command. 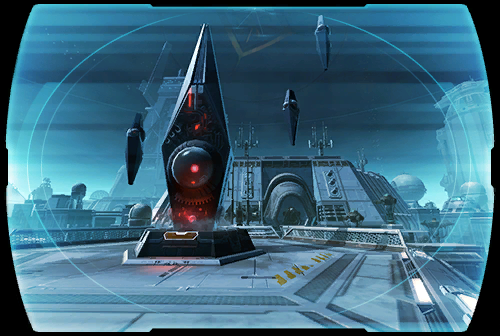 Everyone is trapped on board, including <name>, SCORPIO, and Empress Vaylin. ? Locked inside the ship, Vaylin has temporarily recovered from her mental CONDITIONING, a form of mind control that Valkorion used to cripple her Force powers. ? While the Gravestone races toward its unknown destination, <name> leads the crew on a mission to regain control of the ship.... ?